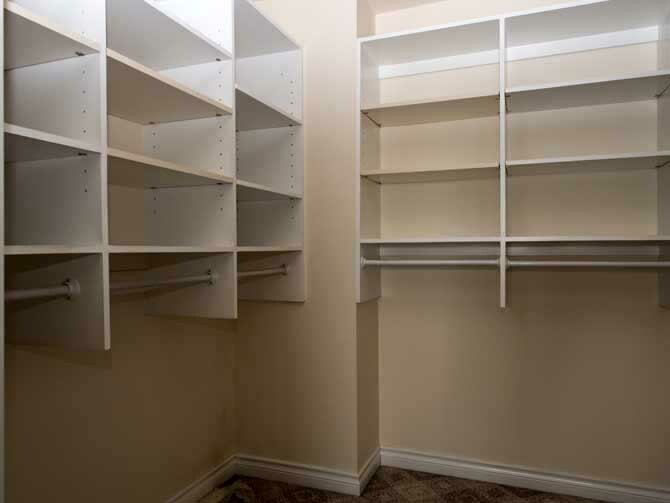 This room was originally designed as a master closet off the master bedroom. 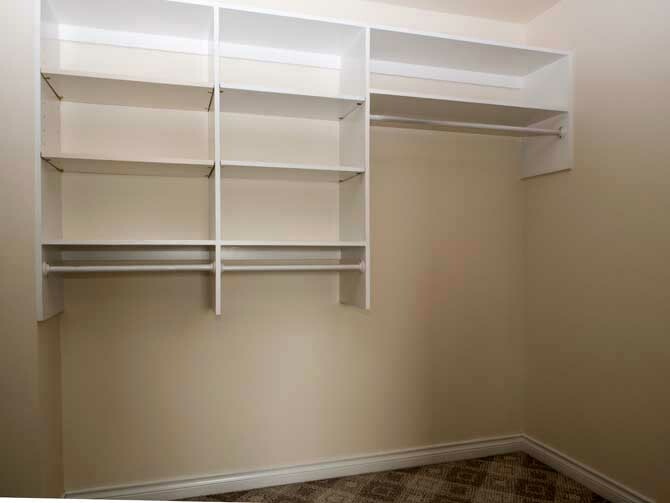 The empty nester Homeowners were downsizing from a very large custom home where the laundry room had been off the master bedroom and very much wanted to replicate that set up in their new spacious town home. 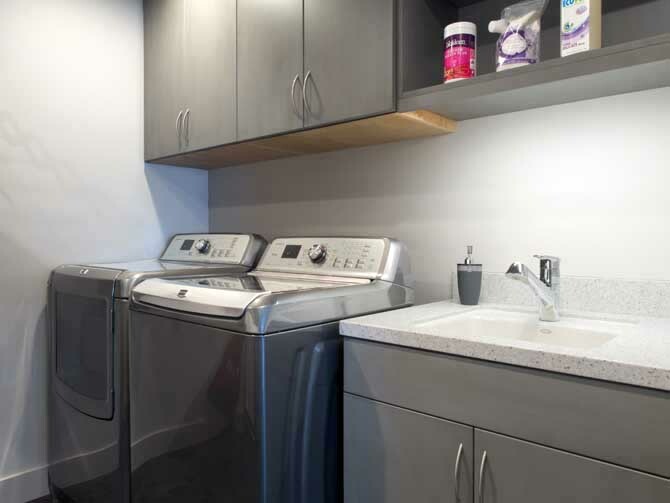 The challenge was the concrete and foam construction exterior walls which impeded the ability to plumb and duct the laundry machines. To overcome this issue, false walls were built to run pipes and ducting. 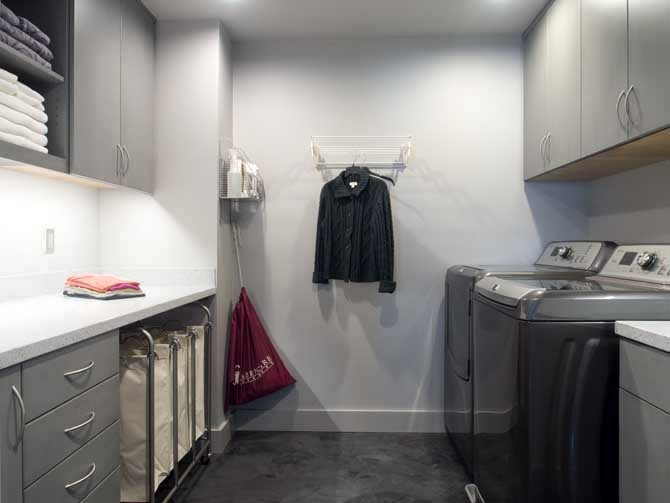 The net result is a spacious, well-appointed laundry room with ample area for folding clothes, storing linens and toiletries and hand washing delicate items. An exhaust fan with built-in humidistat ensures that the room maintains good air quality. From the custom Milestone floors and shower surround, to the cabinets, to the countertops, to the walls and beyond, there are a variety of shades of gray incorporated in this contemporary styled project.